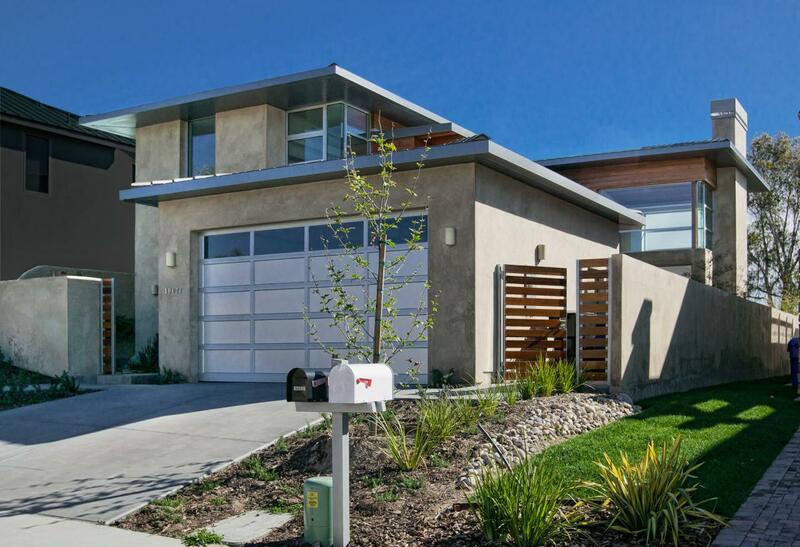 Creating a Modern Residence with Clean Lines - GDC Construction, Inc. 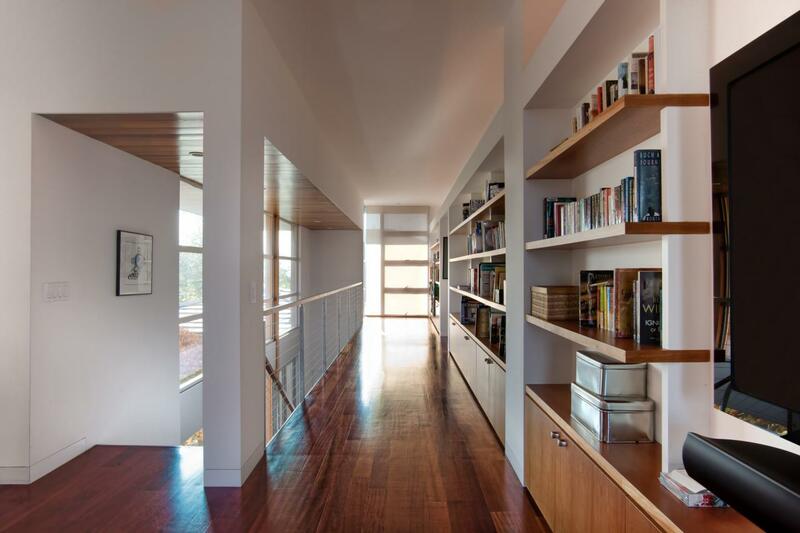 The client enlisted top-flight architects Safdie Rabines to design a minimalist masterpiece. The client wanted the clean lines of the exterior of the home to be continued throughout the interior, and challenged GDC's master craftsmen to create a clean, functional and beautiful interior that harnessed the latest techniques and technology. 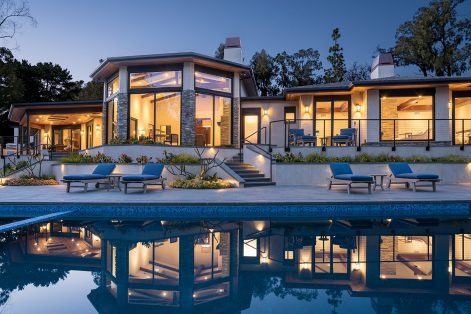 This home features dozens of unique examples of the sort of attention to detail that sets GDC apart from the pack. The home's guttering, for example, is all recessed into the aluminum fascia of the building, so it doesn't interrupt the lines of the structure. Exquisite seamless redwood siding runs from the interior of the home to the exterior, as does the slate tiling on the living room floor, creating an indoor-outdoor living effect that is repeated throughout the ground floor. High-end Fleetwood sliding doors recess completely into the home's walls, completing the indoor-outdoor living aesthetic. 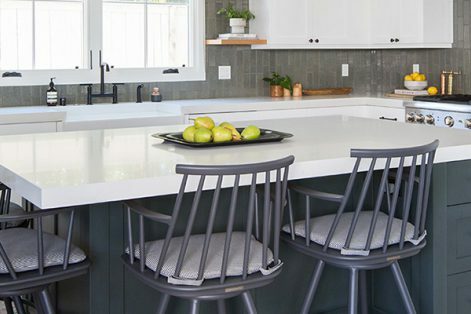 The end effect is perfect function that is subtly hidden and blended into the overall design of the home. All the gutters on the home are recessed into the aluminum fascias and run through the home’s walls, adding to the clean, modernist feel of the residence. 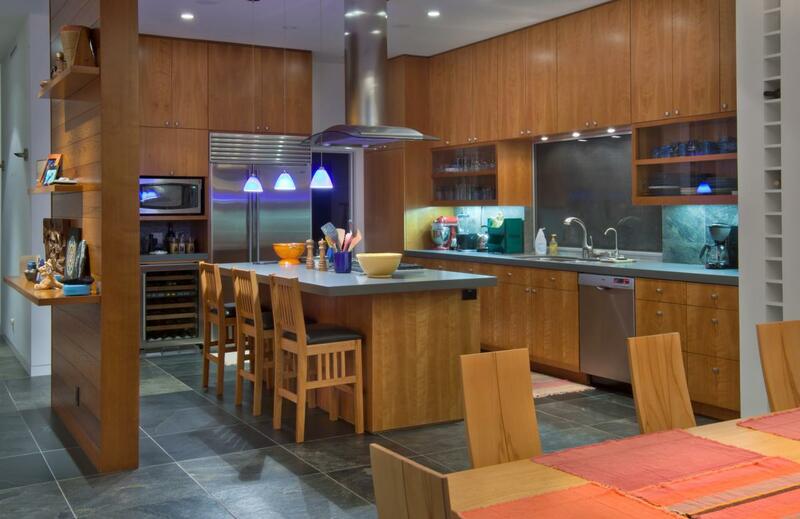 The bright, modernist feel of the exterior is also reflected in the home’s interior, particularly the kitchen. 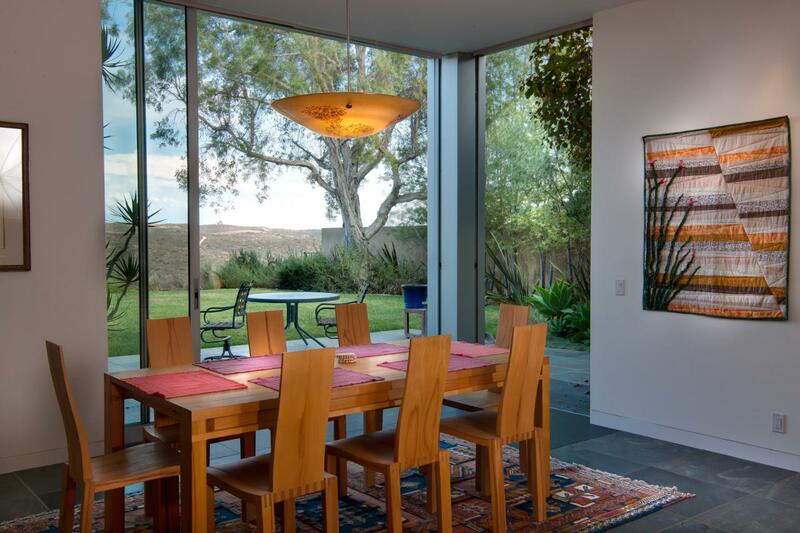 The dining room features custom Fleetwood sliding doors that pocket on both sides. The slate flooring runs from the inside to the outside patio, creating an indoor-outdoor dining area. 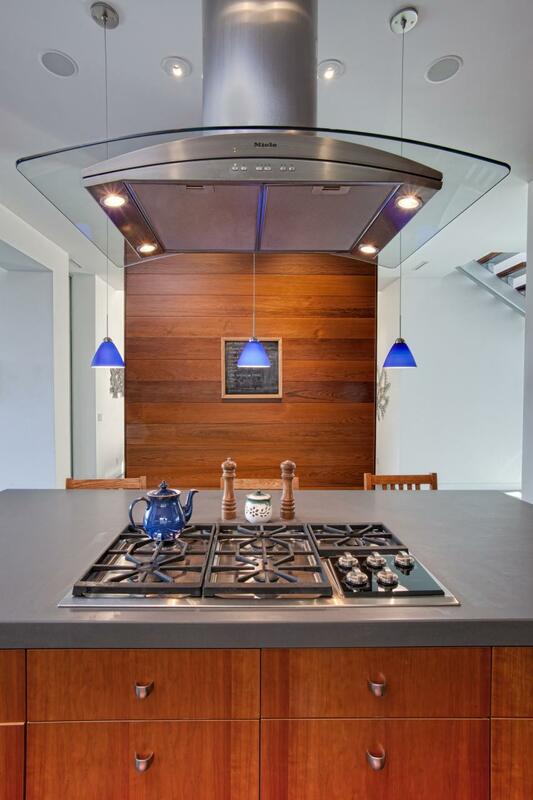 The kitchen features redwood paneling, Caesarstone countertops and European-style cabinets. 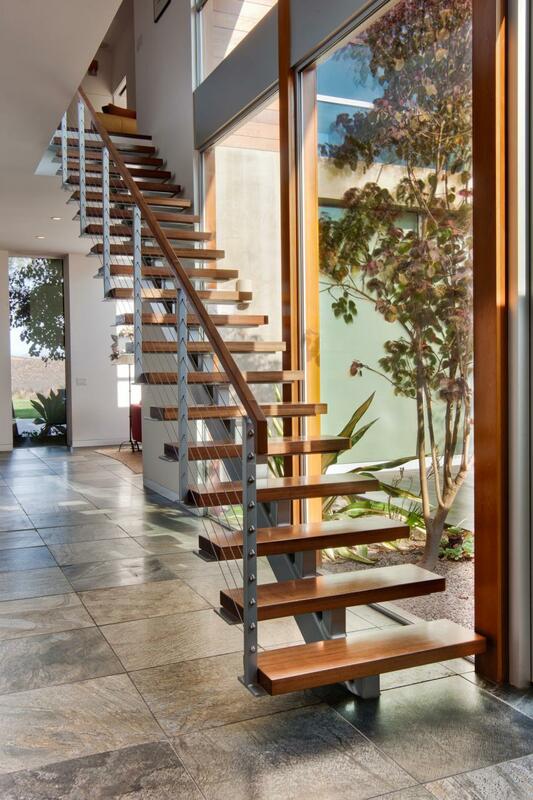 The home features a “floating” staircase with a cable rail system and walnut stair treads. The interior has level-5 drywall finishing and details including recessed, flush baseboard. 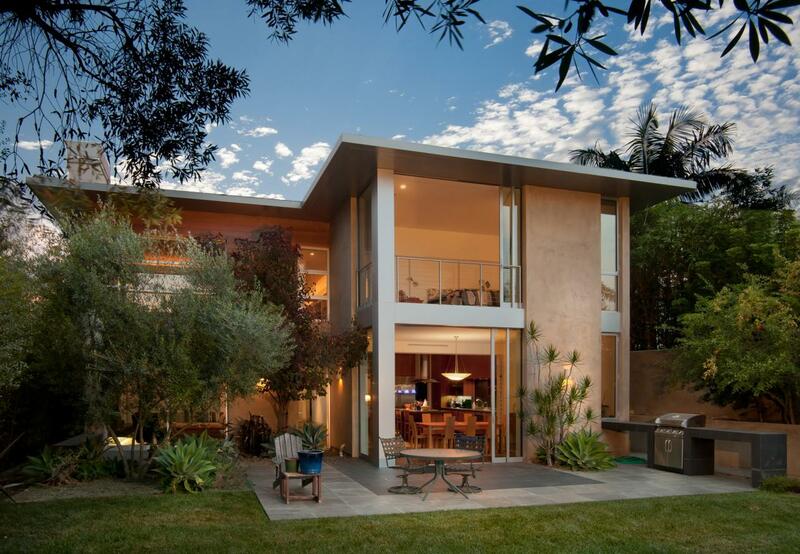 The property has aluminum eaves and banding, a custom granite barbecue and a custom Fleetwood sliding door system.